Start off your visit on the 20th (Wed): take in the waterfront at Malecon and then explore the activities along Sun Bay. Get ready for a full day of sightseeing on the 21st (Thu): relax and rejuvenate at some of the top local wellness centers, identify plant and animal life at Vieques National Wildlife Refuge, and then enjoy the sand and surf at La Chiva. To find reviews, where to stay, ratings, and other tourist information, refer to the Isla de Vieques road trip planning tool . Houston, USA to Isla de Vieques is an approximately 8-hour flight. The time zone difference moving from Central Standard Time (CST) to Atlantic Standard Time (AST) is 2 hours. When traveling from Houston in February, plan for somewhat warmer days and much hotter nights in Isla de Vieques: temperatures range from 83°F by day to 73°F at night. 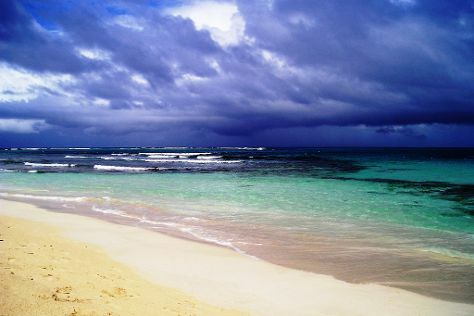 Cap off your sightseeing on the 21st (Thu) early enough to travel to Culebra. On the 22nd (Fri), browse the collection at Culebra Public Library and then tour the pleasant surroundings at Flamenco Beach. Keep things going the next day: enjoy the sand and surf at Playa Punta Soldado Beach, then enjoy the sand and surf at Zoni Beach, and then step off the mainland to explore Culebrita Island. To find ratings, reviews, photos, and tourist information, read Culebra tour app . You can do a combination of car and flight from Isla de Vieques to Culebra in 2.5 hours. Another option is to ride a ferry. In February in Culebra, expect temperatures between 84°F during the day and 73°F at night. Cap off your sightseeing on the 23rd (Sat) early enough to catch the flight to San Juan. Change things up with a short trip to El Yunque Rain Forest in El Yunque National Forest (about 1h 10 min away). Next up on the itinerary: appreciate the extensive heritage of Old San Juan, steep yourself in history at San Juan National Historic Site, skim along the rocks with a canyoning and rapelling tour, and don't miss a visit to Paseo de la Princesa. To find more things to do, photos, maps, and other tourist information, refer to the San Juan holiday builder website . San Juan is just a stone's throw from Culebra. In February, daytime highs in San Juan are 84°F, while nighttime lows are 73°F. Finish up your sightseeing early on the 26th (Tue) so you can travel back home.